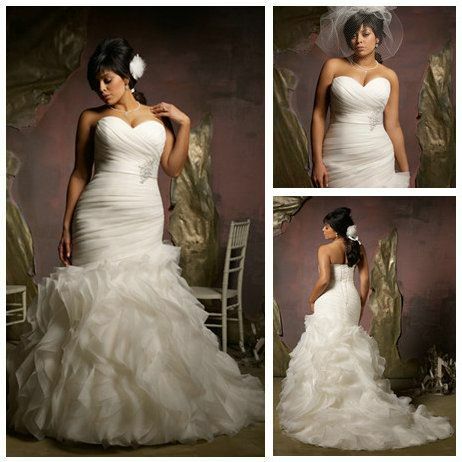 Looking for plus sized wedding dresses? It can be quite difficult knowing what kind of wedding dresses will look good on you, especially with a larger body. Should you get sleeves or sleeveless? Laced or no lace? Ruffles or straight elegancy? Here is a beautiful collection of white wedding gowns for plus sized women that will give you an idea or two for which wedding gown to go for. This 2014 ivory organza ruffle bridal gown is so beautiful! It’s sleeveless with a chapel train and the silhouette is mermaid style. Sold by loveforever at aliexpress.com. Another beautiful gown! It’s a one shoulder gown found on boulevardbridal.com. 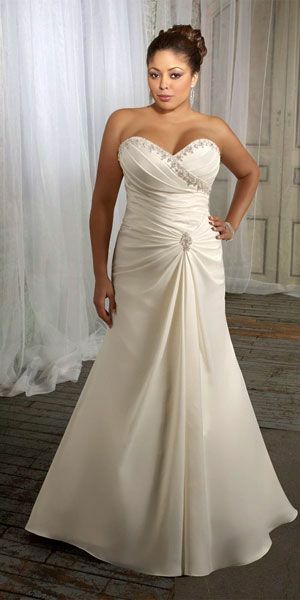 A beautiful sleeveless wedding gown sold on dress2015.com where you can also find a lot more plus size wedding dresses. An elegant and beautiful white chiffon wedding dress for plus sized women. Also found on dress2015.com, where you can find more chiffon wedding dresses. 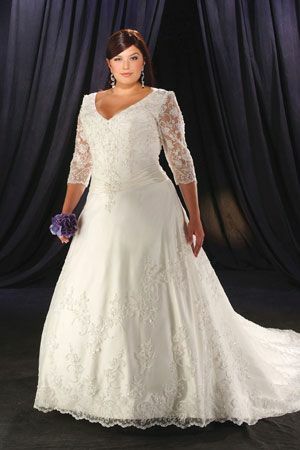 A beautiful laced sleeve wedding dress for plus sized women. A beautiful wedding dress for plus sized women. It has a sweetheart neckline, mermaid silhouette, and a beaded chapel train. Found and sold on lightweddings.com.